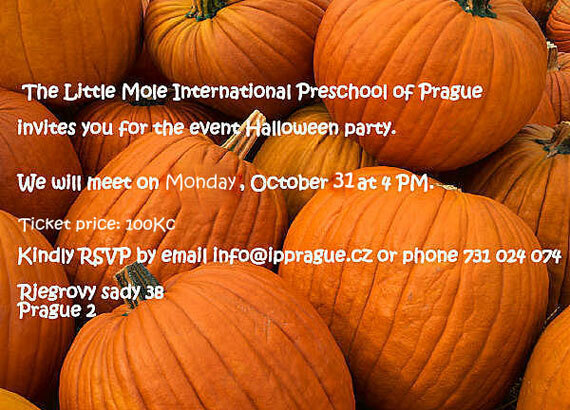 For those looking forward to Halloween in Prague, there are lots of different events held for all ages between 30th October to 5th November. Here’s a round up of just some of the parties and events specifically created for families with kids. So grab your costumes, coats, candles and pumpkins and head out to one of these cool places! This is an open event, so not just for families who attend the kindergarten. A day full of Halloween fun is promised for the little ones with lots of games and contests. Snacks, food and drinks are also available and kids are encouraged to come in halloween costumes. According to the feedback we receive from our readers this is one of Prague’s best family brunch venues, you can also read about Karen’s experience at the Zinc brunch here. 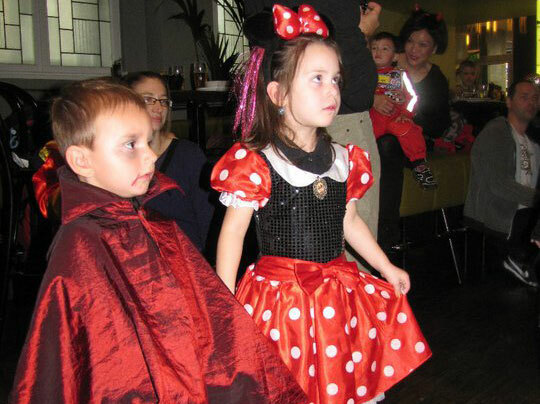 This specially themed brunch will see the restaurant kitted out with Halloween decorations. 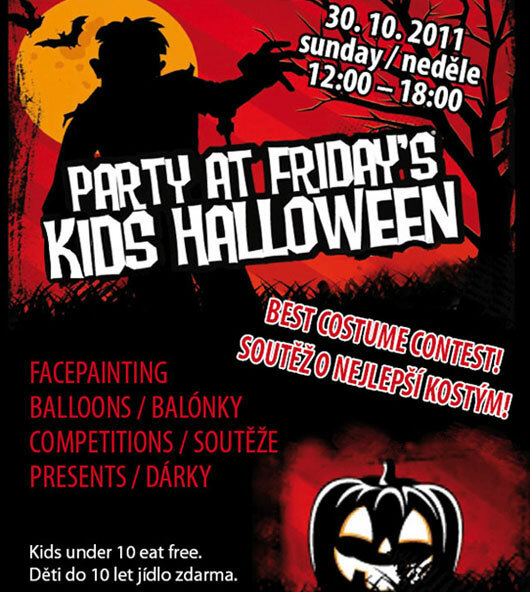 Kids are encouraged to wear their halloween costumes and the best will receive Halloween prizes. The brunch buffet also includes a welcome drink, beer, wine and soft drinks as well as a children’s buffet and free parking. A fully-supervised kid’s corner and play area will also be operating. Best of all, kids under 10 are free and kids 10 to 12yrs are 50% off. The buffet price is 990czk per person. A less pricier option than the Hilton, T.G.I’s promises to be loads of fun. The program includes spooky games, scary face painting, balloons, presents and a costume contest to find the best halloween outfits worn by guests. Another bonus, kids under 10 eat for free. As with every year the Botanical Gardens are staging another terrific Halloween party for kids. Purchase your Pumpkin on site and learn how to carve out your own Jack’o Lantern. 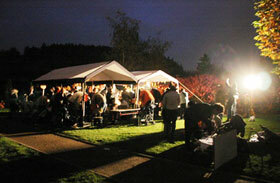 There are competitions for kids, face painting, refreshments and sausage grilling around a big open fire. From 6pm there will be a Jack’o Lantern March with your own creations plus live music. NB: Bring your own spoon, knife or any other tools to carve the pumpkin lanterns, as well as a candle (don’t forget the matches!). Halloween costumes are encouraged. Face Painting, Arts & Crafts, Pumpkin Painting, and lots more on offer at the Hard Rock Cafe including prizes for the best costumes. Complimentary Juice for all kids. 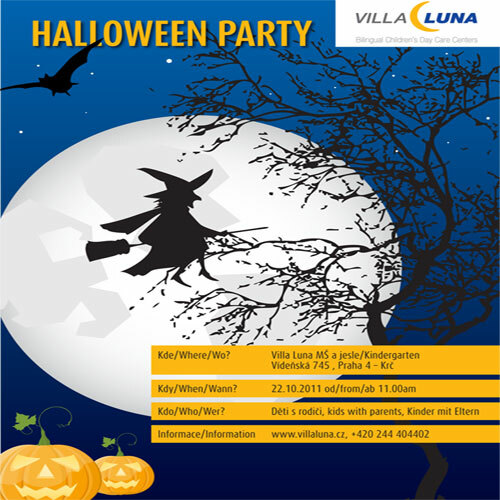 Trick or Treat in an unforgettable spooky atmosphere! 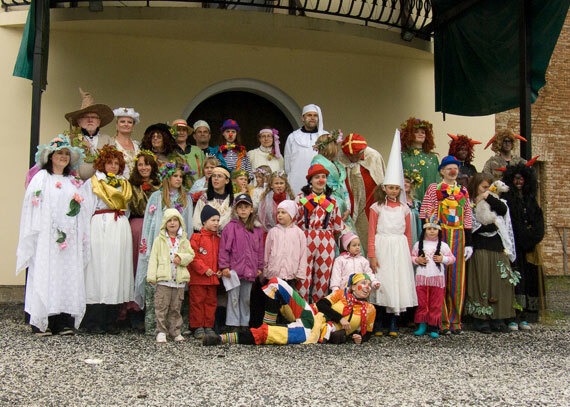 One of Prague’s favorite new playground and entertainment areas for families, Krouzky na Vltave are planning a big celebratory day for the kids. The playground will be decorated with ghost and halloween characters, there will also be a Vampire Mini-Disco and a theatre show. A craft area will be set up for a spider making workshop and other craft ideas using pumpkins. In the evening a lantern parade will take place. A short drive from Prague is the newly renovated Berchtold Castle. Regular events are held and this Halloween a rich program has been organised. You could even make a weekend of it and stay overnight.